Have you ever wanted your own cheese cave? If not, David Asher might convince you to crave one. 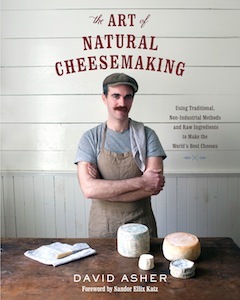 Based on British Columbia’s Gulf Islands, the former full-time organic farmer is the author of the recently published The Art of Natural Cheesemaking: Using Traditional, Non-Industrial Methods and Raw Ingredients to Make the World’s Best Cheeses (Chelsea Green). His book covers all the details one needs to know to make a variety of cheeses at home – and, yes, creating a “cave” to age it. Step-by-step recipes include paneer, cheddar, feta, blue cheeses, gouda, and about a dozen others. “It’s as easy to make cheese at home as it is to make good bread at home,” he said. For the past seven years, Asher has been offering workshops through his Black Sheep School of Cheesemaking to teach others the “lost” art of creating their own natural cheeses without unnecessary additives. But he wasn’t always a cheese fan – in fact, for most of his life, just the opposite. “We weren’t a cheese-eating family. We only ate that stack of kosher cheese slices stuck together without plastic wrapping in a slab. I suffered through really terrible cheese as a child,” he said. Like his favorite food, though, his taste has ripened with age. As a young boy, he was introduced to “Italian immigrants’ guerrilla gardens” by Montreal’s railroad tracks, where he would relish plucking carrots and harvesting kale. Eventually, he created his own garden and, by his 20s, he was volunteering at community farms. It was during an organic farming apprenticeship, traveling around visiting other farms, that he met a home cheesemaker, who was “making some inspiring rounds of moldy goat’s cheese” in her home with milk from her very own goats. On a mission, Asher consulted the go-to cheesemaking guidebooks to find out how to start creating, but he was not inspired by the recipes or by the techniques suggested. Part of the problem, he said, was that the recipes called for freeze-dried packaged cultures. “I didn’t want to have to purchase these culture starter packages to make my cheese, because I knew that traditional cheesemakers didn’t use these,” he said. “I knew there had to be a better way, but there weren’t really any resources.… There were no references as to how traditional cheesemakers grew their white rinds, their camembert, almost as if that information had been lost.” Truly, he was “feta” up with the lack of “gouda” details. Through trial and error, he explored and learned natural methods used long ago, for want of a mentor. And then, much like a wheel of provolone, things came full circle. “After years of experimenting, I felt confident with my techniques. 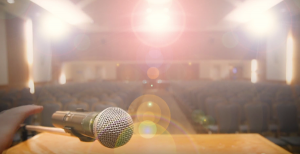 I then decided that I’d write a book,” he said, adding that it also serves as a resource for his students. For those wanting to make their own, there are three cheesemaking seminars this month: with the Clever Crow Sea Salt Co. in Black Creek May 7-8, with Linnaea Farm on Cortes Island May 14-15 and in Chilliwack at the Valley Permaculture Guild on May 28-29. For more information, visit theblacksheepschool.com.